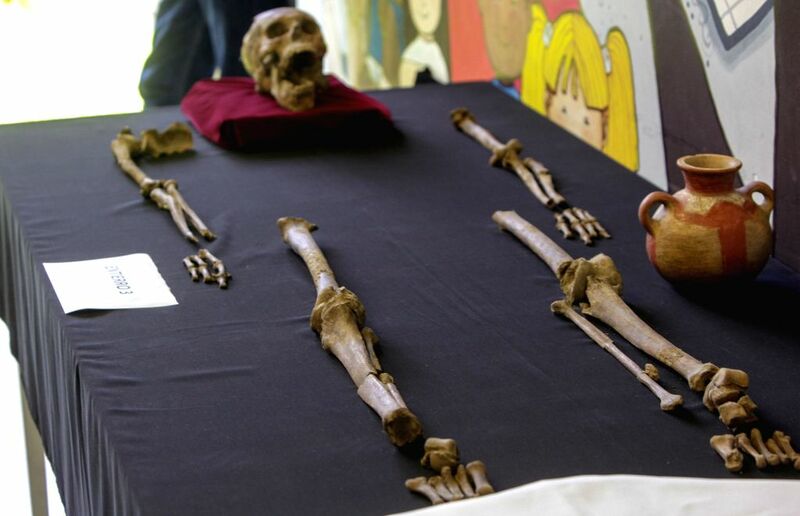 USULUTAN, July 5, 2014 - Undated image provided on July 4, 2014 by the Secretariat of Culture of El Salvador shows one of the three human skeletons of more than 1,600 years old found in Usulutan, 70km to southeast of the city of San Salvador, capital of El Salvador. 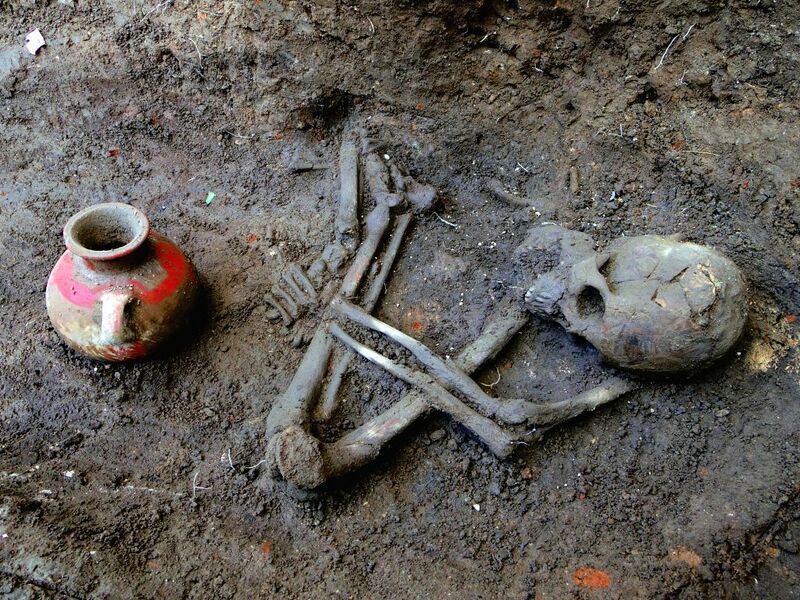 The skeletons were found by Japanese and Salvadoran anthropologists. 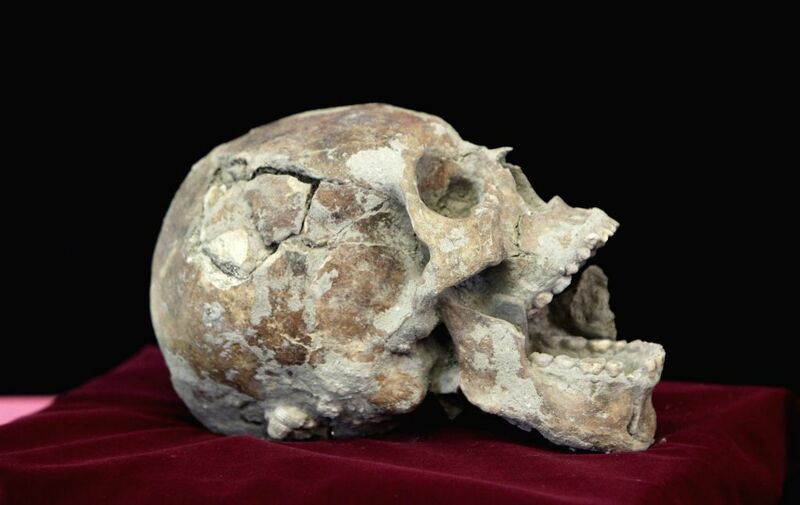 A skull of more than 1,600 years old is exhibited in the National Museum of Antropology, in the city of San Salvador, capital of El Salvador, on July 4, 2014. One of the three human skeletons of more than 1,600 years old is exhibited in the National Museum of Antropology, in the city of San Salvador, capital of El Salvador, on July 4, 2014.